Koncept VR teams with Chapter Four to deliver spatial sound for unique virtual reality experience. 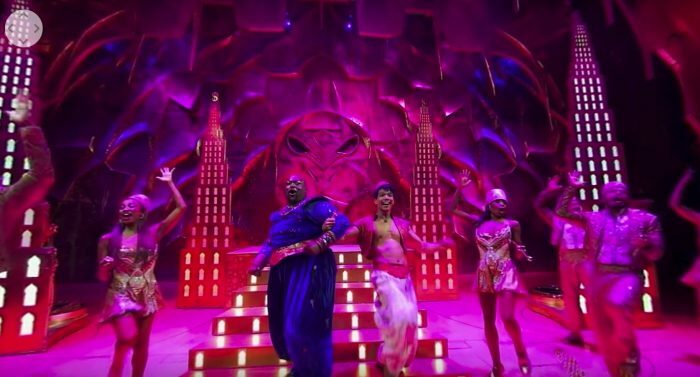 NEW YORK CITY—Creative boutique Chapter Four recently applied its expertise in spatial sound to place consumers in the middle of the Disney’s hit Broadway spectacle Aladdin. 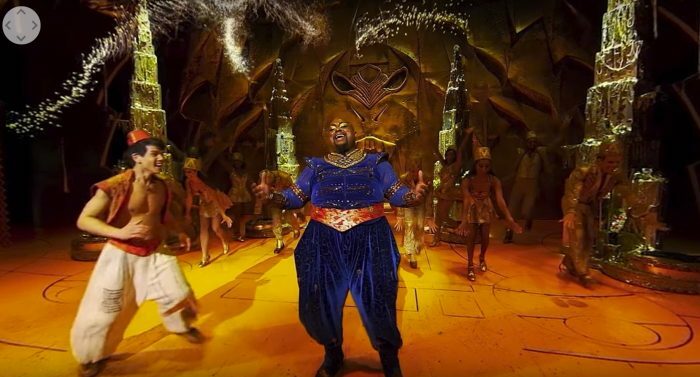 Working under the direction of virtual reality studio Koncept VR, Chapter Four produced the soundtrack for a 3-minute VR video in which Aladdin’s cast performs the show-stopping number Friend Like Me. The work included recording the performance, creating a host of nuanced sound effects, and blending it all into an immersive soundscape. Viewers watching the piece through virtual reality headsets find themselves on the edge of the stage of New York’s New Amsterdam Theatre. Genie (Major Attaway) is standing just a few feet away when he bursts into song joined by Aladdin (Telly Leung) and the show’s full troupe of tap dancers, bedecked in shiny gold costumes. As the performers kick up their heels, overlaid text magically appears, providing fun facts about the show. The piece was delivered to desktop, mobile and social platforms via the virtual ad platform OmniVirt. Production sound was augmented by sound design and Foley sound effects. That ranged from the swish of costumes and the snap of tap shoes to the rustle of jewelry and the squeak of stage floorboards. 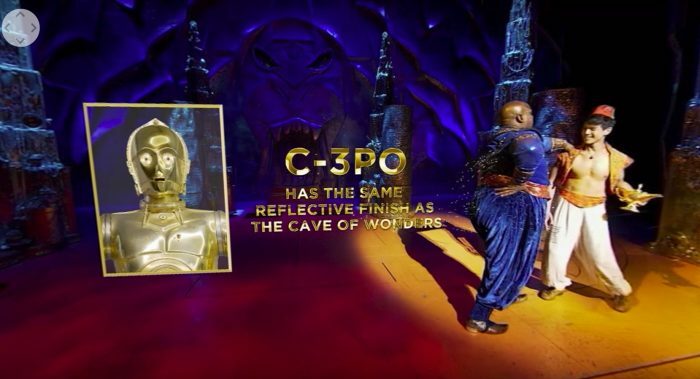 Additionally, the team produced sound effects to support the unique pop-up graphics that inform viewers of such facts as the show’s Tony Award nominations (five) and the number of crystals in each male dancer’s gold pants (more than 1000). 360 Production and Post: Koncept VR. Executive Producer: Max Bolotov, Director/DP: Joergen Geerds, Producer & Assistant Director: Uli Futschik, Line Producer: Kelly Holleman, Camera Operators: Ignacio Ferrando Margeli and Judith Samper, Post Production and VFX Supervisor: Judith Samper, VFX Creative Director: Alvin Ho Young, DIT and Post: Jason Mascheri. Sound: CHAPTER FOUR. Creative Director: Karim Douaidy, Sound Designer: Sarah Gibble-Laska, Sound Supervisor: José Frías, Spatial Sound Mixer: David Grinbaum. Foley Sound: ALCHEMY POST SOUND. Chapter Four is a NYC-based full-service production company serving the film, television, commercial and new media industries. 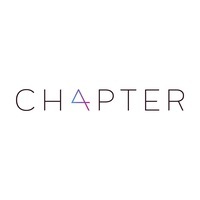 Chapter Four’s work has been featured on networks such as A+E, CBS, NBC and Netflix; in film festivals such as Sundance, SXSW, Cannes and Tribeca; as well as on immersive platforms including Facebook 360 and Oculus.